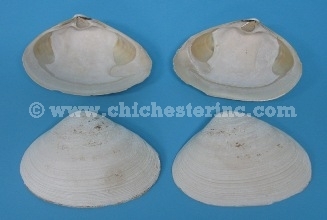 The Atlantic surf clams are native to the northeast coast of the United States. The shells have been shucked and cleaned in cold water. These measure about 4" to 7" long by 3" to 5" wide. 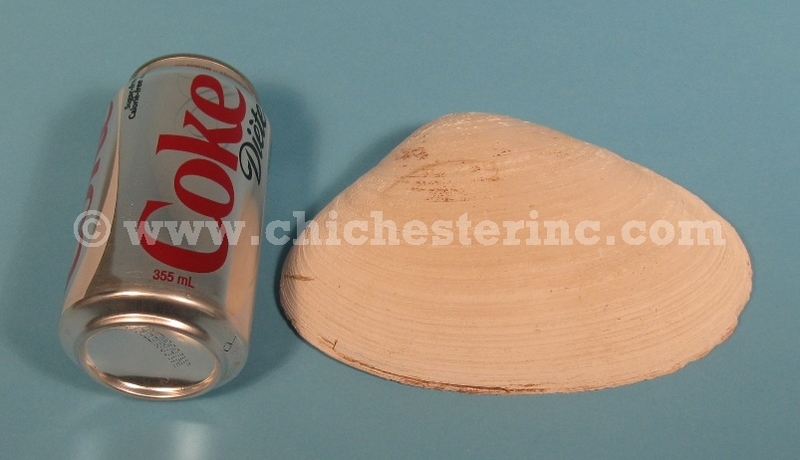 One shell weighs 100 grams. Genus and species: Spisula solidissima. Wild.